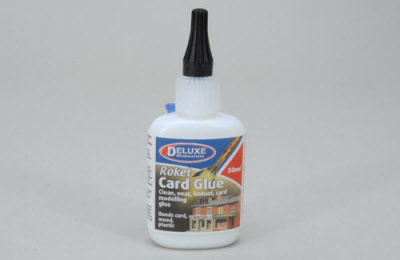 A versatile adhesive that sticks card, paper, balsa wood and plastics. Ideal for rockets and model railway buildings, etc. Water clean up.